Police say Jennair Gerardot (left) shot and killed Meredith Chapman (right) before committing suicide. The usual question that hovers over any senseless tragedy is how: How did this happen? 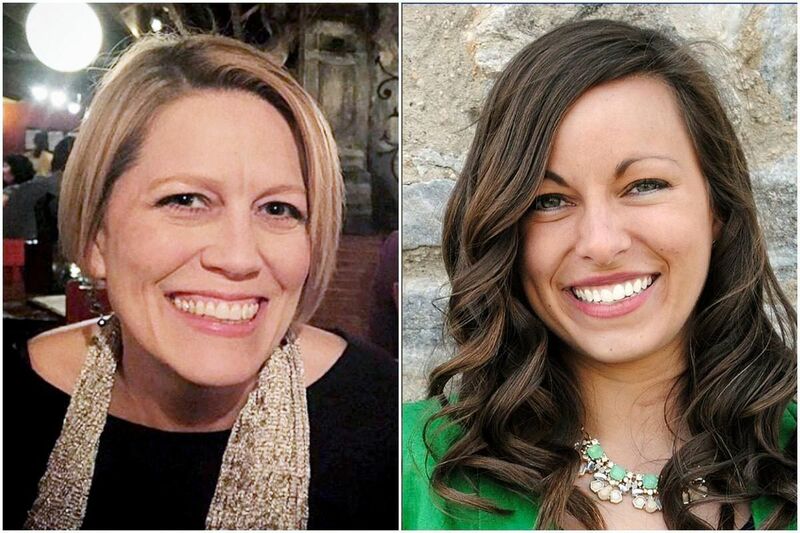 That's certainly been the case since Monday night, when police discovered the bodies of two women, Meredith Chapman and Jennair Gerardot, in the kitchen of a three-story home in a normally quiet pocket of Radnor. Police said Gerardot, 47, a former marketing manager, broke into the house, which belonged to Chapman, a 33-year-old assistant vice president at Villanova University. When Chapman stepped inside her home that night, she was ambushed by Gerardot and shot in the head. Gerardot then turned her gun on herself. That both women met such a violent end was difficult for their friends and relatives to comprehend. They were bright, accomplished, and seemed to have happy marriages, based on the photos and messages that decorated their social-media accounts. But pictures never tell the full story. According to Radnor Township Police Superintendent William Colarulo, Chapman had been involved in an affair with Gerardot's husband, Mark. When Gerardot discovered the infidelity, she plotted her revenge in a series of text messages and emails. Then, Gerardot rented a Cadillac and drove from Delaware to Radnor with murder on her mind. She got to the area Monday afternoon. A receipt from a nearby gas station placed her there at 2:40 p.m. Then, she parked the car not far from Chapman's home, leaving binoculars, ammunition, gloves, and ear plugs behind in the vehicle. She broke into Chapman's home — and waited. In the months before Gerardot became the topic of breathless national news coverage, there were hints that she was beginning to unravel. She ventured onto the neighborhood app NextDoor in February and reached out to the online community for help. "I just transferred to Delaware in December for my Husband's new job, and he's telling me he wants a divorce," Gerardot wrote. "I don't know anyone and am completely clueless to the area." Gerardot had worked for the better part of five years for a South Carolina-based manufacturing company called Circor Instrumentation before moving north to Wilmington. But she was looking for more than general guidance on her new surroundings. "Can someone please recommend a reputable and successful and driven divorce attorney?" she asked. Gerardot returned to the same app again in March, and posted an even more desperate plea. "Please recommend an EXCELLENT marriage counselor for couple on brink of divorce," she wrote. This post was longer, and offered a deeper portrait of a woman who seemed desperate to save a marriage that was threatening to tumble off a cliff. She was open to any kind of therapy, she said, from religious-based to boot camp-style therapy. "We will need someone who is very educated and experienced dealing with couples issues including infidelity, depression, traumatic experiences, child/parent dynamics, being accountable for actions, etc.," Gerardot wrote. It's unclear whether the couple ever sought marriage counseling. The posts are moot now, colored by Gerardot's decision to solve her marital woes by picking up a handgun. Exterior of Meredith Chapman's home along Lowrys Lane (right) in Radnor Twp., PA on Tuesday morning April 24, 2018. Police said Gerardot drove to Radnor in a black Cadillac XTS that she had rented in Wilmington more than a week before the murder. Police discovered that Gerardot had not traveled by train, as they originally reported, when the Delaware County Medical Examiner's Office turned over a set of keys found on Gerardot's body. They found the car parked on a side street near Chapman's home. Sometime after that 2:40 p.m. gas station pit stop, Gerardot broke into Chapman's Lowrys Lane home. Between 5 and 6 p.m., Chapman arrived, parked her Audi in the driveway, got out of the car carrying a bag, and entered her home through a back door, according to a neighbor. Within seconds, Chapman was dead from a single gunshot wound to the head. Gerardot then used a second bullet to kill herself. The time frame between the two shots was unclear Wednesday, but Radnor Police Lt. Christopher Flanagan said it would be a "reasonable conclusion" that Gerardot did not arrive at Chapman's home with the intent to kill herself. A bag containing clothes and a wig was found at the scene. Mark Gerardot, who recently left his position at the University of Delaware, has not been available for comment. When police officers arrived at Chapman's house Monday, they found Mark Gerardot in the driveway. He told them he thought his wife may be inside. Investigators believe he was in the area under the assumption that he and Chapman were going to meet for dinner. When she didn't show, police suspect, Gerardot went to the house to check on her. Police said Mark Gerardot voluntarily gave an interview Monday night and has been cooperative. Chapman had only recently moved into the Radnor neighborhood. She was living alone, having recently ended her marriage to Luke Chapman, a former Newark, Del., city councilman. He has not responded to requests for comment. Through a spokesman, Meredith Chapman's family released a statement late Wednesday afternoon, calling her "a wonderful daughter, sister, and devoted friend." "We loved her very much, just as she loved all of us, and we are devastated by her death," the statement read. "While her marriage to Luke had come to an end, it was gratifying to know that their separation and divorce was amicable, that they remained friends and confidants, and that each of them cared very much for the other." "We understand that the circumstances of her death are the focus of news attention today, but we have chosen to refrain from participating in these stories because they do not and cannot capture the essence of her life," the statement continued. "She was a vibrant, vital and caring woman of incredible talent, and we ask for the opportunity to mourn her in private."